I have always been very interested in music. I never travel without my music because music is a powerful mood alternator. It can cheer you up, make you relax or anything in between. I try to fill my player (Iphone) with as much music as possible, but there is a limitation and I have to choose. There are certain albums that are always on my Ipod and albums that never goes out of style. Keep reading and you will find out which they are and why they are there. I have created a playlist on YouTube for your listening (and viewing) pleasure. Ryuichi Sakamoto – Playing The Piano. Ryuichi Sakamoto was one of the pioneers in electronic music in Japan during the end of 1970´s and after that he made bossa, soundtracks and so many different things. He is a very versatile musician and that all his songs works on piano, with a symphony orchestra or electronic. This album is purely piano and here are songs to make you cry, to make you feel happy, relax and get upbeat. 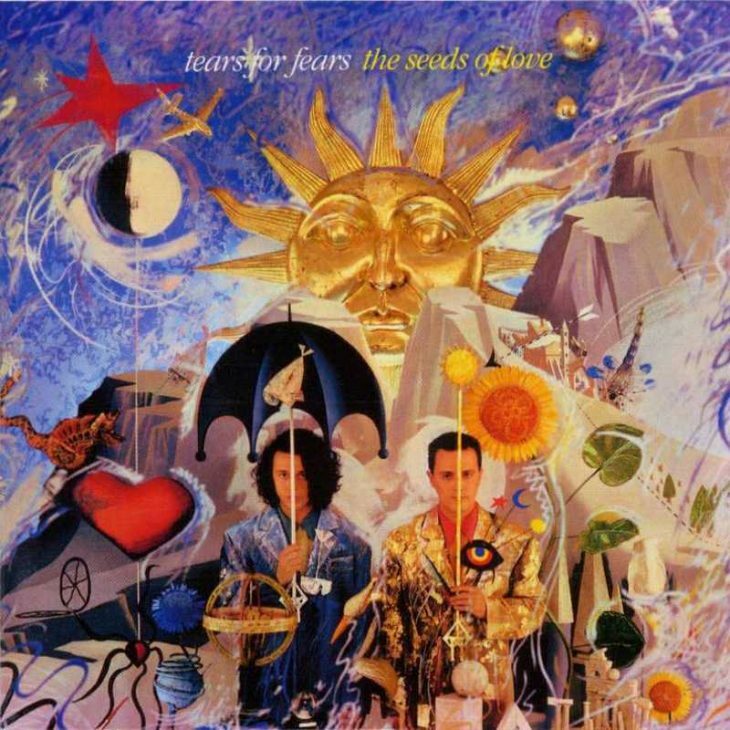 Tears For Fears – Sowing The Seeds Of Love. I have always considered this as one of my “top 5 albums” ever and it is still on the chart. This album was released just after their electronic period and gives you tight, jazzy beats with excellent vocalists. Works for both chilling and light party. Did you notice their April Fools joke on the official site? Kojak – Crime In The City. French house/hip-hip concoction dated 1999 with pumping beats, cool samples and good singers. You never know when you want to dance. At $6,99 on Amazon it is a steal! Gorillaz – Plastic Beach. To be honest, I did not like Gorillaz at all when they first came out. I discarded them as “kiddie-pop” for many years and I suddenly heard the album Plastic Beach and I was sold. It is a great album with lots of interesting constellations. Lou Reed sings on “Some Kind of Nature” which I have put on the Youtube playlist. Mötley Crue – Greatest Hits is also on my Ipod at all times. This is another band I was not impressed with in the day. Later on I read the biography The Dirt from back to back without putting it down and I was hooked on their music too. I have read several biographies about rock-bands and this is probably the best! D-A-D – . When they first started playing together, 30 years ago, they called themselves Disneyland After Dark. Of course, Disney Corporation did not like that at all and forced the band to change their name. After a few different versions of abbreviations on their former name, they are now called D-A-D (probably because this is the most internet friendly). Tightest rock-n-roll ever! Disclosure´s album Settle was Grammy-nominated as Best Dance/Electronica Album in 2013. I fully understand why it was nominated because this is one of the best albums I have heard in a long time. Snappy beats, good vocalists. Not more a man can ask for. The French electronic duo Cassius and their EP “The Rawkers” is great and picks me up every time. Cool sounds, samplings and well produced. Just wish it was a full album, but I do not always get what I wish for. The Power Station and their album with the same name. This is one of the super groups from the 1980´s with 2 of the Taylor brothers from Duran Duran, Robert Palmer and the former Chic drummer Tony Thompson. They took their name from the name of the studio they recorded in in NYC, which was a former power station. The Arctic Monkeys – AM is one of the best albums from 2013 where they are moving back to the style they used to play in the beginning. British pop/rock at its best! We are so spoilt today with music services like Spotify or Itunes Match (which I use) where we have an abundance of music at our fingertips so it was quite hard to narrow down my favorites to ten only. You can find the playlist with one song from each album on my YouTube channel. I hope you will enjoy it! The above links are affiliate links. If you are going to purchase any of these albums you will do a good deed by using them since you will help keep this site running. Thanks in advance! EDIT: all purchase links removed on 2nd of January 2015. Please share your best music for traveling in comments below or Facebook or Tweet me your favorites. I am longing to hear from you!